The World Fantasy Award-winning author of The First Fifteen Lives of Harry August presents a mesmerizing tale of a gambling house whose deadly games of chance and skill control the fate of empires. It is the place where fortunes can be made and lost through chess, backgammon - every game under the sun. But those whom fortune favors may be invited to compete in the higher league... a league where the games played are of politics and empires, of economics and kings. It is a league where Capture the Castle involves real castles, where hide and seek takes place on the scale of a continent. This novel was originally published as three digital-only novellas: The Serpent, The Thief, and The Master. 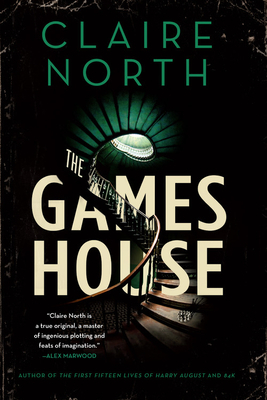 Claire North is a pseudonym for Catherine Webb, a Carnegie Medal-nominated author whose first book was written when she was just fourteen years old. She went on to write several other novels in various genres, before publishing her first major work as Claire North, The First Fifteen Lives of Harry August, in 2014. It was a critically acclaimed success, receiving rave reviews and an Audie nomination, and was included in the Washington Post's Best Books of the Year list. Her next novel, Touch, was also in the Washington Post's Best Books of the Year, in 2015. Catherine currently works as a theatre lighting designer and is a fan of big cities, urban magic, Thai food and graffiti-spotting. She lives in London. "Everybody needs to read 84K. Consistently thoughtful fiction like this needs to be championed. I'll admit it, I'm a little in awe of the author. Her work is sublime.... Claire North deserves your undivided attention. Buy the book, read it. Your brain will thank you.... If there was a rating higher than highly recommended this book would receive it." "Claire North is a true original, a master of ingenious plotting and feats of imagination." "Wholly original and hauntingly beautiful. North is a writer to watch." "North is [a] consistently intriguing writer."